Observation Borehole 200mm diameter to depth of 200m at the Environment Agency head quarters in Warrington. 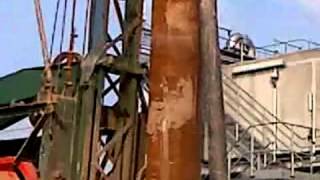 Phase 5 observation boreholes – 10no. 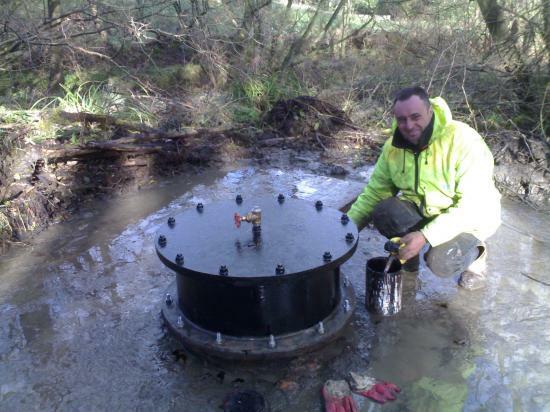 250mm diameter to depths of 100m and 175m. 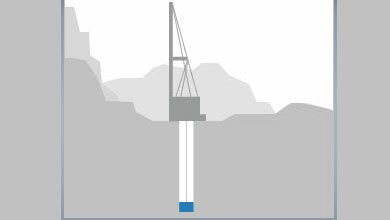 Observation borehole drilled 200mm diameter to a depth of 230m. Installation of 250mm diameter plain steel lining tubes. 2no. observation boreholes drilled to 200mm diameter to depths of 160m each. NW Maintenance Contract since 2000. Carrying out of maintenance and refurbishment of existing observation boreholes on the EA monitoring network. Borehole drilled to a finished diameter of 200mm, lined to 60m with 200mm diameter plain steel lining tubes. Permanent pumping equipment installed. Borehole to be used to supply the farm and caravan park. 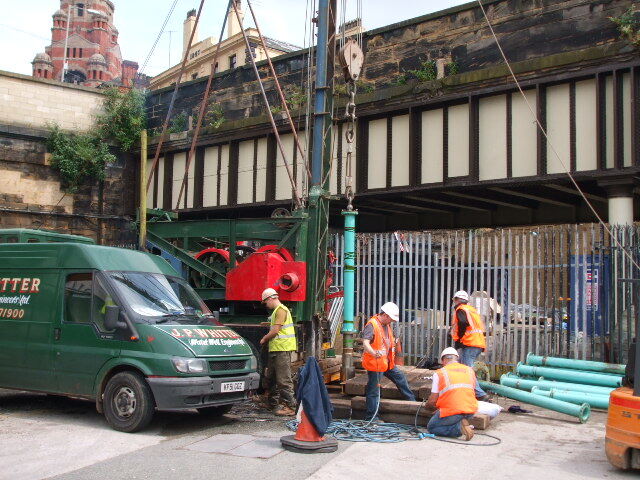 Drilling of 150mm finished diameter borehole to a depth of 72m. 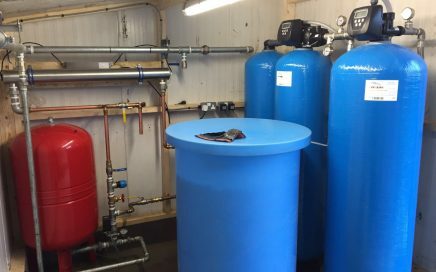 Installation of permanent pumping equipment and pressure cylinder system to enable the water to be used as a mains water system. Borehole drilled in 1988. Drilled 150mm diameter to a depth of 60m. After 20years use Mr Cowherd rang to ask if we could check the system, we did this recently and replaced the borehole pump and rising main only. Borehole drilled to a finished diameter of 150mm to a depth of 60m. 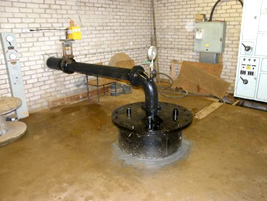 Installation of permanent pumping equipment and float switch in existing storage tank.